Test prep season is in full swing. It’s quite likely that if you teach in a public school, that you are feeling a little bit of pressure to produce successful student scores. I know that I am. I teach four different sections of testing students. 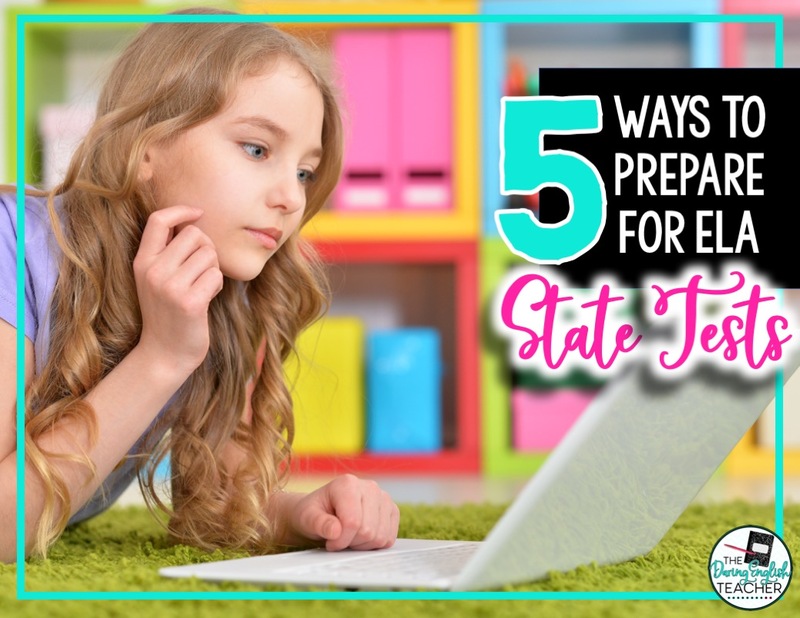 While state tests are meant to measure a student’s success throughout the grades, in my state it all comes down to their performance during their junior year for high school and their eighth-grade year for middle school. To say that I’m feeling the heat right now is a bit of an understatement. As much as teachers would like to disregard state testing and stick to a curriculum that we know and love, for some teachers, that isn’t reality, and I have a confession to make. As much as it goes against every fiber of my teacher being, I’ve been teaching to the test these past few weeks. I don’t do it because I want to, but because I am expected to do so. 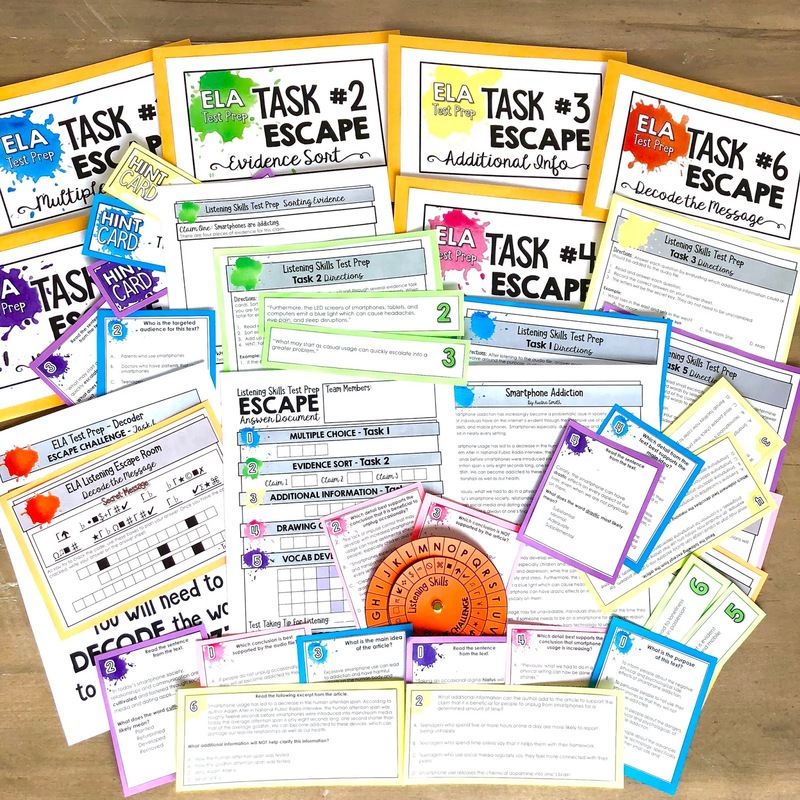 Here are a few things I’ve been working on in my old classroom to try to incorporate test prep into my curriculum. As obvious as this seems, it is often overlooked. I teach in a state that administers the SBAC. Through my state account, I can log in, administer a shorter practice test to my students, receive their scores, and use that data to drive instruction. Also, the term practice makes perfect isn’t for nothing. As much as the data helps me plan my test-prep curriculum, it’s is extremely beneficial for my students to have exposure to the online testing interface. I know that fun test prep might seem like an oxymoron, but it doesn’t have to be. A couple of years ago I wanted to help prepare my students for state testing, and so I created fun and engaging test prep escape room activities. My students love competing in these challenges. Currently, I have three different ELA Test Prep Escape Room Challenges: Nonfiction Reading, ELA Test-Prep Vocab, and Listening Skills. 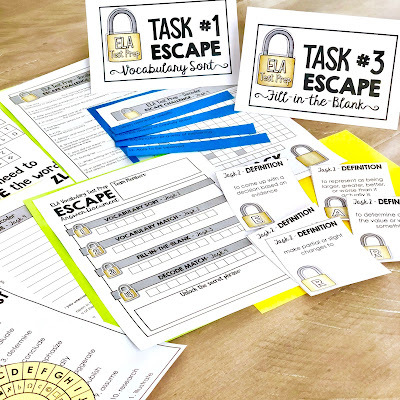 There’s quite the emphasis right now on highly engaging, student-centered lessons right now (see above-mentioned Escape Rooms). However, that isn’t practical for day-to-day instruction. Sometimes good old fashioned direct instruction is best. From the data I received from the practice tests, I noticed that my students needed extra work in a couple of areas: phrases, commas, colons and semicolons, and parallel structure. To help my students improve in these areas, I first used direct instruction to reteach these concepts to the students, and then we utilized various edtech sites for further practice. In all seriousness, I cannot emphasize the importance of vocabulary instruction in the ELA classroom, especially when it comes to test prep. Students need to be familiar with high-frequency academic vocabulary words that they’ll encounter on state tests. One way that I help my students become familiar with these words is by having them compete in my ELA Test-Prep Vocabulary Escape Room. Another way that I familiarize them with important test prep vocab is through CCSS High-Frequency Vocabulary Lists. I incorporate these vocabulary lists with my units throughout the year. 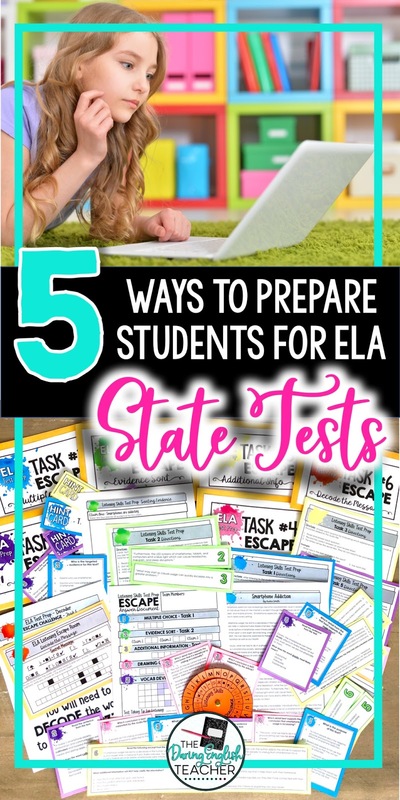 Finally, I’ve also used edtech sites throughout the year to help my students prepare for state tests. There are a couple of sites that I regularly use in my classroom that I feel are quite beneficial. I use CommonLit with my students. I try to include at least one reading selection per unit. I love this site because it contains the two-part questions that students will encounter on the tests. I also use No Red Ink. I only use the free site right now, and it is adequate. 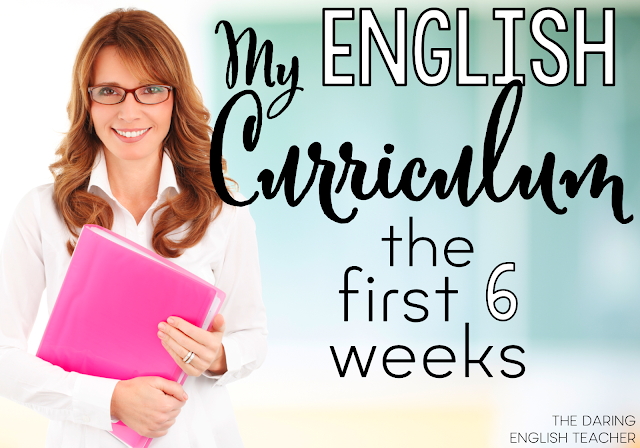 I can assign my students various assignments throughout the year. To help integrate student engagement into No Red Ink, I like to display some questions on the board, review them with my students, and then call on student volunteers to help answer each question. The third site that I love is Vocabulary.com. This site is a paid site, and I am very fortunate that my site pays for this program.